As the temperatures drop here in Virginia, some of you might already be thinking of turquoise waters and relaxation on the beach away from winter vibes, so let us transport you to one fabulous destination for the ultimate destination wedding wanderlust! 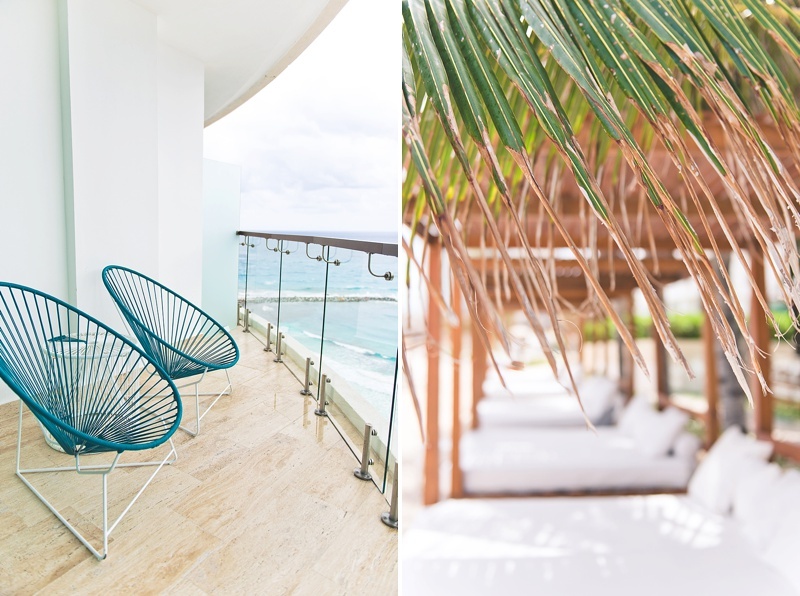 A few months ago, we had the privilege to head south to the coastal hotspot of Cancun to experience a modern all-inclusive hotel and its unique destination wedding offerings: Krystal Grand Punta Cancun. Perfectly nestled at the far north end of Cancun's Hotel Zone for more secluded Caribbean beach time, this hotel is also conveniently just minutes away from the downtown area for shopping, nightlife, and a variety of dining options which makes it the ideal destination wedding locale for couples and their out-of-town guests. 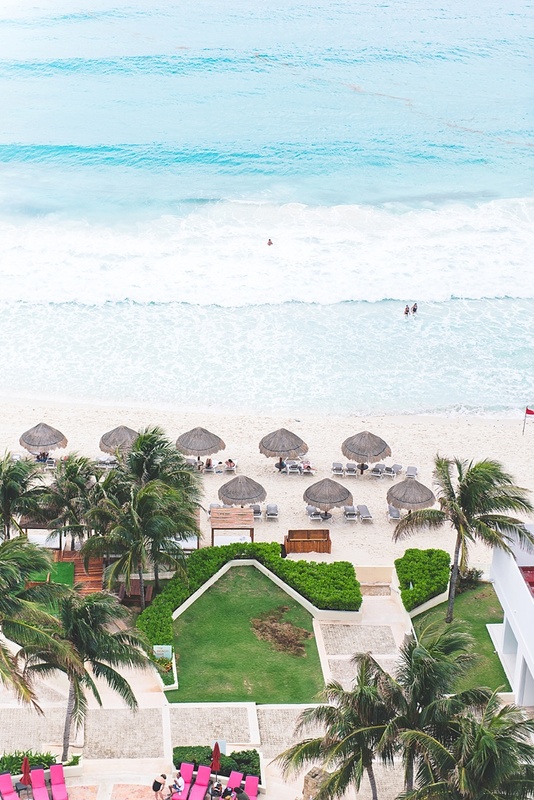 From spacious luxury suites for getting ready, to oceanview ceremonies, to ballroom receptions, and to cocktail hours on the beach, the backdrops are limitless depending on your personal style and preferences when in Mexico. All Virginia couples can be assured that planning from far away is stress-free with Krystal Grand Punta Cancun's professional, kind, and hospitable wedding experts at the helm. 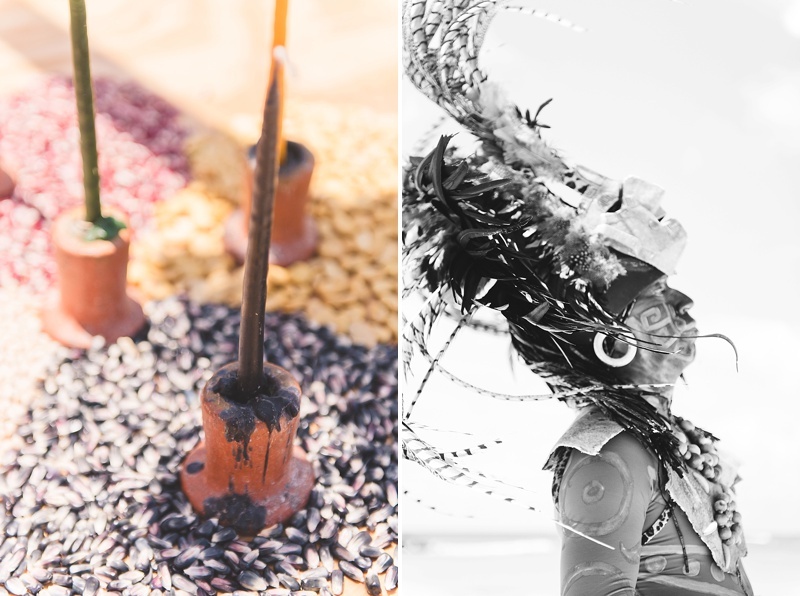 But by far, their thoughtfully curated ceremony packages stand out amongst all the rest that you might find when researching your Caribbean wedding spot. 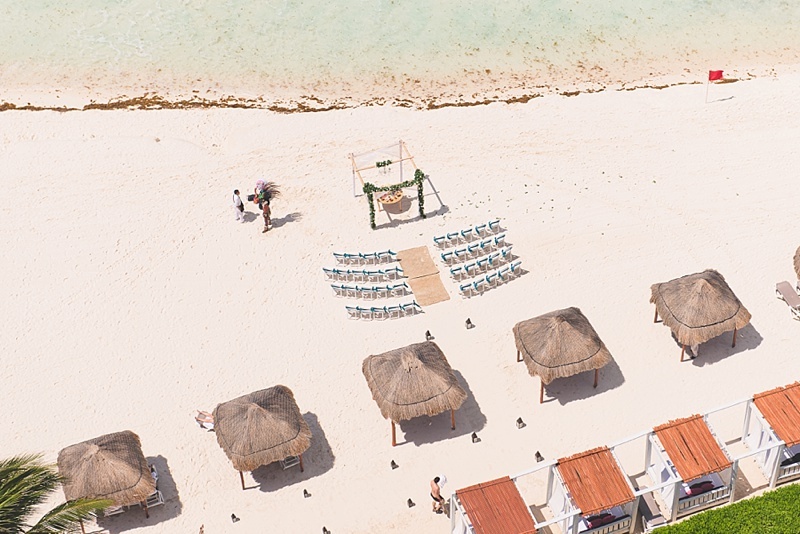 Couples can choose from symbolic, legal, and Mayan services that include a variety of amenities like florals, a licensed officiant, shoe valet for the beach, audio system, and more. But it's the Mayan ceremony celebration that is the shining star of Krystal Grand Punta Cancun, especially for history and travel lovers. Editor's Experience: This was one of the most memorable press trips I had ever been on. Simple beauty and ancient Mayan history are two personal loves of mine, so when we found out that we would be treated to a Mayan ceremony to see how couples would be spoiled on their wedding days, my excitement level was pretty high beyond the palm trees that surrounded us on property. Krystal's wedding team coordinated a local Xaman (or shaman, a regional Mayan minister) to share her gifts with us and perform an ancient Mayan healing and blessing. I'm not ashamed to say I became emotional as I watched her with every person in our group because I soon realized she was focusing on certain parts of the body for each individual. She didn't know any of us, our names, or our struggles, but it was explained that a shaman feels energy. On one woman, the shaman focused on her chest — she actually had breast cancer and has severe anaphylactic-related allergies. On another woman, after the ceremony, the shaman asked our trip leader if she could talk to the woman privately. The shaman pulled her aside and shared a personal message of self-love, that she is light, and how she must remember that when she looks in the mirror. I later chatted with this now-friend, and she said it really shook her; it was a message she did need to hear with everything going on in her life at that moment. And lastly on me, she focused on my back (which is why I had to retire sooner than later from wedding photography) but moreso on my head which is my daily battle as someone with chronic depression and anxiety. When you don’t share the same spoken language and can barely hear because it's massively windy but can understand exactly what someone is saying is an unreal experience. How a complete stranger just knew my mind is my life's blessing and curse is something I'll never forget. A Mayan wedding ceremony is everything and more when it comes to saying I Do in uniquely meaningful destination style. The beautiful symbolism behind each natural element the shaman uses during the blessing is something one will always remember. From the salt to represent the inevitable trials in marriage to the honey which celebrates its sweetest moments to the tossing a handful of the elements into the ocean to bring full-circle closure to the ceremony, this blessing of two people is what weddings are made of. And if you're already married or would like a purely symbolic ceremony, make it a vow renewal or a life celebration! It's an unforgettable and deeply moving experience that we hope everyone gets to have once in their lifetime. It's also the number one reason why we recommend Krystal Grand Punta Cancun for a destination wedding. With six on-site dining options available, no guest of yours is going to be hungry during their wedding weekend stay. 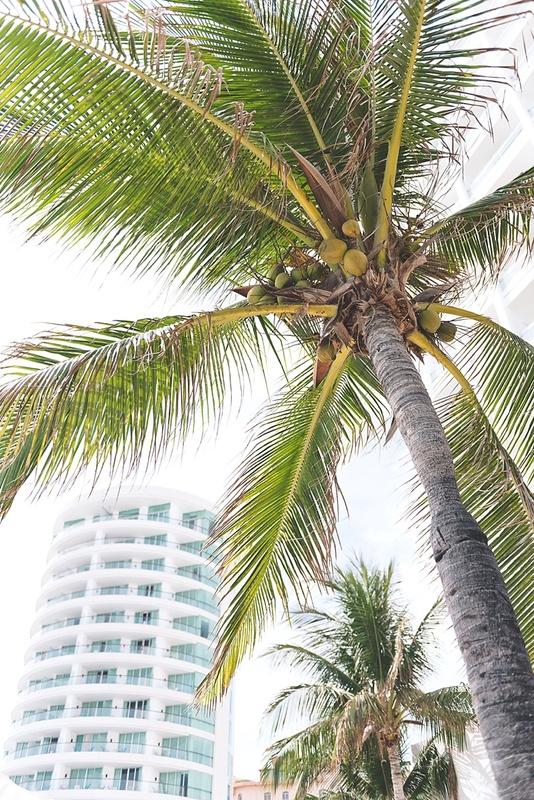 As an all-inclusive hotel, there are buffets, beachside grills, and bars located all over the property from which to choose. Additionally, there are three à la carte specialty restaurants to try something new, including getting off property to have the best authentic Mexican food, live mariachi music, and colorful rustic dining environment ever at Hacienda El Mortero which is owned by the Krystal Hotel group, so their warm brand of hospitality extends here. 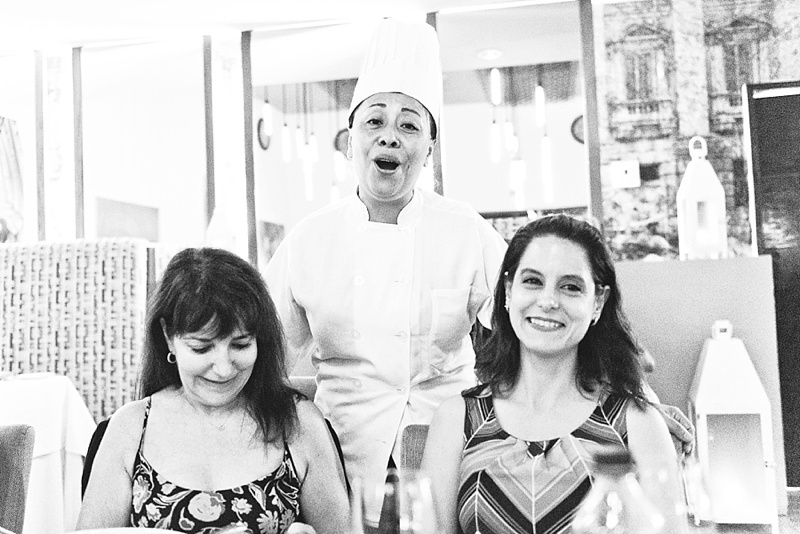 No matter where you go, if you have food allergies or dietary restrictions, the chefs and staff are knowledgeable and will accommodate your needs exactly. Need a pepper-free pico de gallo? Done. Unable to eat seafood? 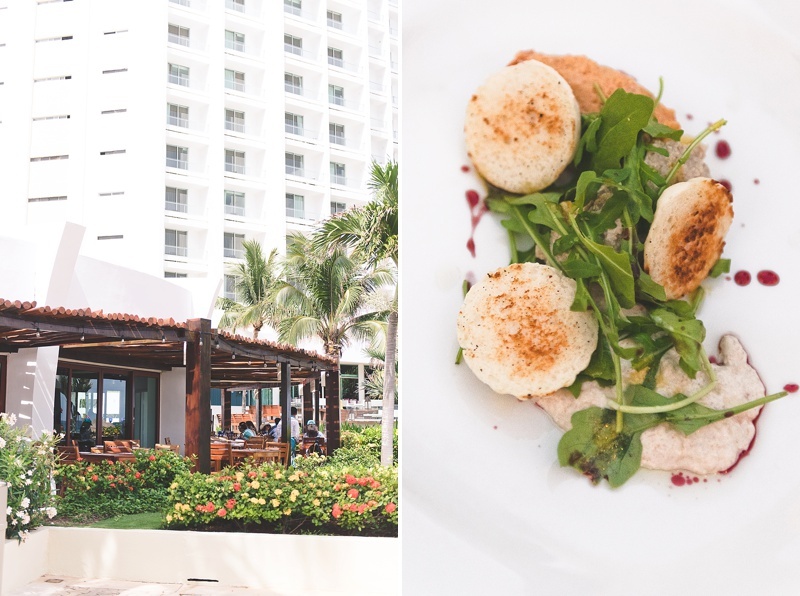 You may not be able to eat ceviche, but you won't go hungry with the amount of feasting options available. Whatever your requirements are, expertly crafted meals will delight taste buds at the wedding or in vacay mode. 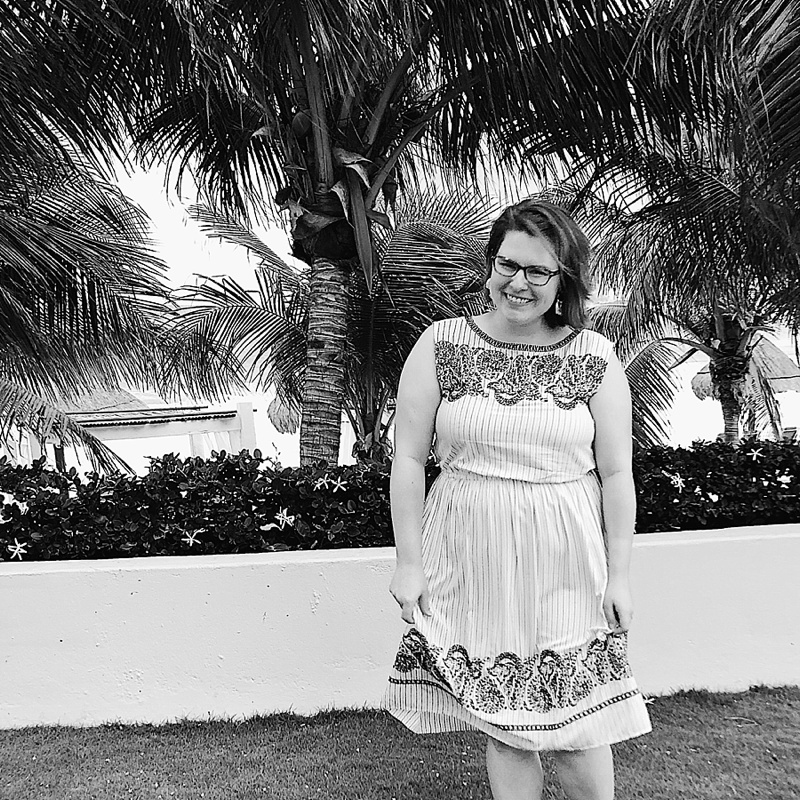 Editor's Experience: If you've been around Tidewater and Tulle for awhile and read through our other travel guides, you'll already know of the unending chapters of my food allergies and adventures when traveling. With any new experience at any new destination, I let my hosts know of my dietary needs ahead of time and then remind them again when I arrive. Because of this, I have rather high expectations when it comes to actually ordering a meal. My first meal was at Restaurant O for lunch. I was pretty exhausted from traveling all morning and hungry, and good Mexican comfort food was all I wanted. Thankfully, I was not disappointed. There was a note on my room account that I was a special diet diner, so immediately, I was greeted by the restaurant manager Gumercindo who ended up being my go-to guy for my non-planned casual meals and made sure my lunches or snacks were properly taken care of. 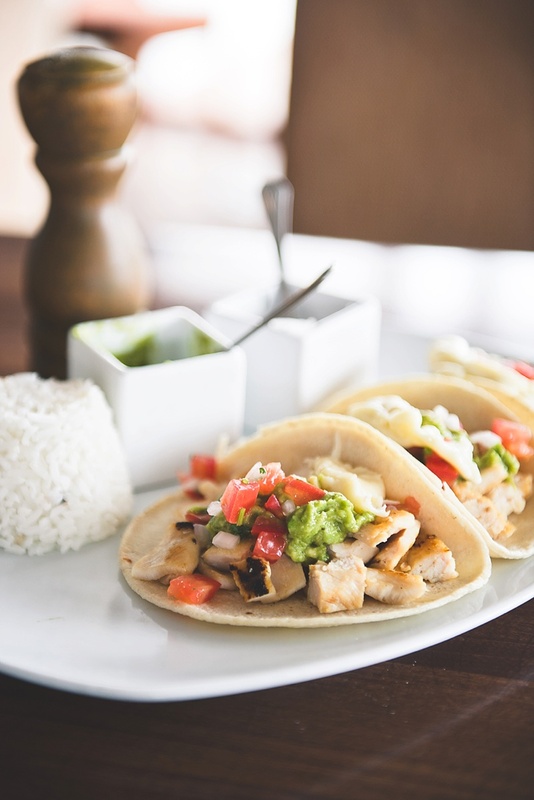 My chicken tacos, jalapeño-free guacamole, and melted Oaxaca cheese hit the spot every time. Beyond the lunches, we had dinners catered as we would if we were wedding guests in various event spaces around the property. The executive chefs never made me feel like an oddball out. They crafted dishes that mimicked my fellow travel writers, and they even had delicious gluten-free bread products and desserts (that weren't just fruit in a cup) for me to enjoy! I never became sick, and soon after my arrival, I knew that I would be able to relax my anxieties and allow my tummy to be properly spoiled by the kitchen expertise. With a total of 395 hotel rooms and suites, there is certainly enough lodging for everyone for any size of destination wedding. Between the deluxe rooms to the Altitude suites, there is a variety of room sizes that accommodates for you and your guests' budgets. 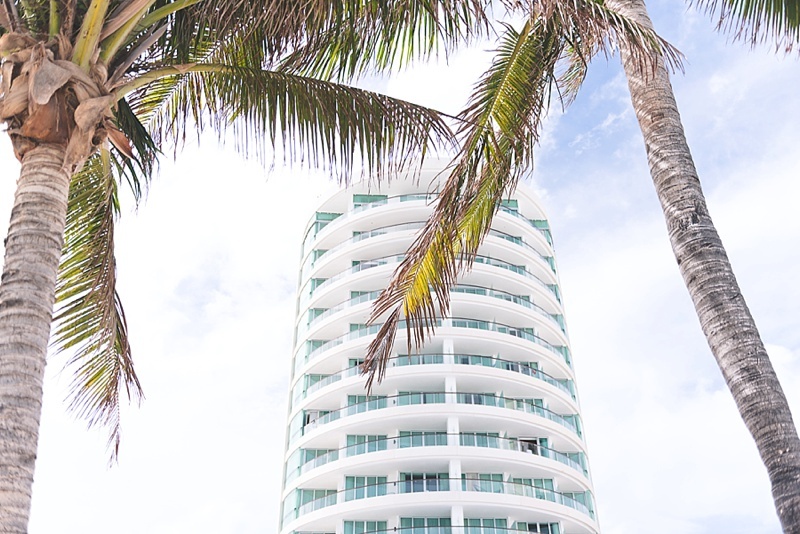 There are quite a few all-inclusive amenities, but the most exciting tidbit is that a good majority of the rooms offer a partial oceanview or a full-on ocean landscape seen from a balcony or window. Those turquoise waters are what it is all about when you go to Cancun! 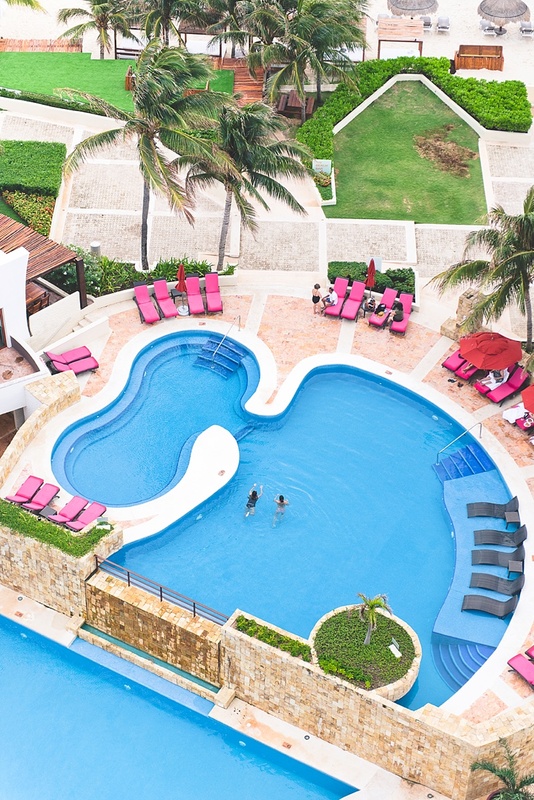 Editor's Overall Experience: Not only beautiful, Krystal Grand Punta Cancun was a warm and welcoming modern property. Most staff do speak Spanish but they also do make the effort to speak English, and when they don’t know the words, they get someone who does. I attempt to learn the local language wherever I go but I always appreciate it when hotels' staffs go the extra mile to communicate with me when I don't know more advanced conversational sentences. Brides or grooms will not be left floundering to remember their high school Spanish classes because the entire wedding team is very fluent in English and will help you translate should you need it. Due to an unlucky spot of weather, it was rainy for most of my visit which was a damper on outdoor activities but I'm a lover of the rain so it didn't bother me so much. The view from my suite in the Altitude Tower made the rain very relaxing as I took advantage of any downtime to nap. The front desk at Altitude was also helpful every time I called them about my random suite questions. My last night there I had a really obnoxious new neighbor who felt the need to slam doors at 4:00am and then blast pounding music at 7:00am on their balcony. But the moment I called the front desk, it stopped within 15 minutes. Hotels can never foresee the rude manners of their guests, but they transform an unfortunate situation by their action. And the front desk staff were swift and professional. 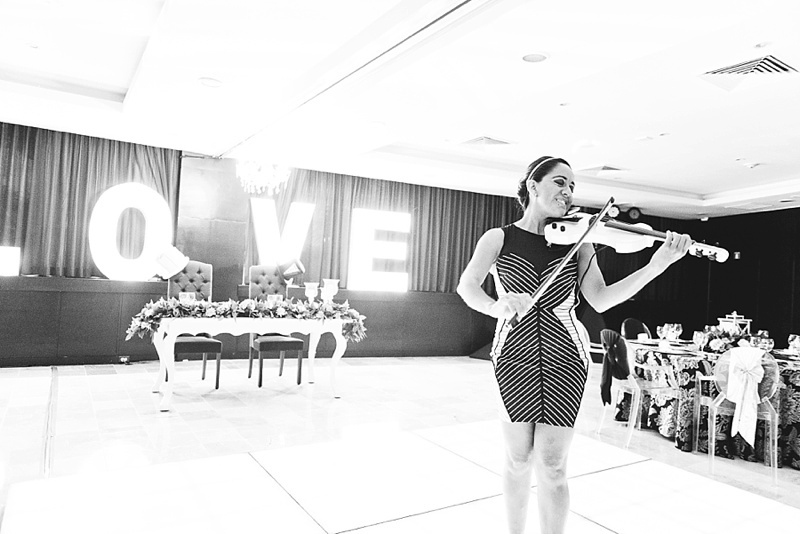 To find out more about Krystal Grand Punta Cancun and how they can transform your wedding day into a truly special celebration, head to their website and reach out to their expert wedding team. ¡Felicidades! It's time to get married! Disclosure: Accommodations, transportation, activities, and meals were provided so we could experience Krystal Grand Punta Cancun. All love and opinions for what's been mentioned in this feature are our own otherwise we would not have written this article. You can find our full disclosure policy here.